From the celebrity wing of Mr. Blog’s Tepid Ride, I present this Classic Repost in honor of Bruce Vilanch. Some may wonder why I chose February 27th to honor Mr. Vilanch. 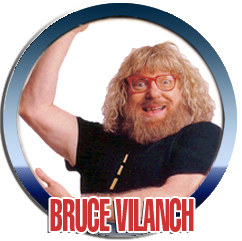 To them I respond, there is no bad time to honor Bruce Vilanch. This is the fourth in a series of in-depth and hard-hitting exposés of some of the legendary creatures of cryptozoology. Previous reports focused on the chupacabra, the Loch Ness Monster, and the Monkey Man of New Delhi. You can also find the Mummy of King Tut, Atlantis, the Roswell UFO Crash, Satanic Cults, Demonic Possession, and Zombies, the Winchester Mystery House, and the Devil’s Footprints. Could this be the Canadian Nuk-luk? Frankly, that’s too much territory. We’ll focus on Sasquatch. Why? Because I live in North America and that makes us neighbors. It would be very embarrassing if the Sasquatch decided to drop by unexpectedly, even more so if he didn’t exist. Sasquatch, or Bigfoot, can be found almost anywhere in the United States and Canada. They usually stay in remote wooded areas, though when around humans they try to blend into their surroundings. 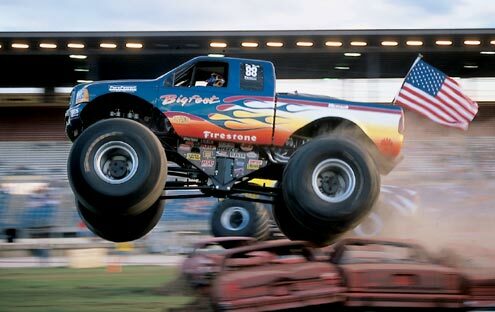 This Bigfoot was found at a monster truck rally. However, not all Sasquatch are as patriotic and most do not display the flag. Proponents of Sasquatch point to what they call the overwhelming proof: footprints, photos, films, audio recordings, and eyewitness accounts. Skeptics point to the facts that no one has captured a living Sasquatch, found a dead Sasquatch or the remains of a Sasquatch, and all the photos seem to be pretty bad fakes. Pro-Sasquatch supporters retort that we’ve yet to see the change President Obama promised but many still believe in that too. This is the most famous evidence of the Sasquatch. According to Roger Patterson, he was walking through the woods near his home in California when he saw what he believed to be a female Sasquatch walking through the growth. 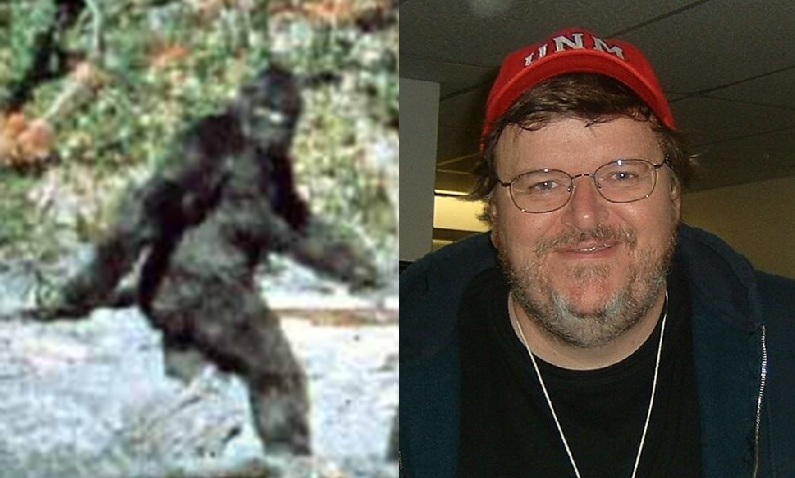 Grabbing his movie camera, he shot some of the most well known images of Bigfoot. The short film, less than two minutes in duration, has been analyzed more times than the Erin Andrews peephole video. Although most agree that the film was untouched, scientists were split. Some said the film was undoctored and showed a Sasquatch. Others said it was undoctored but showed a man in an ape suit. In 2006 a consensus was reached that film was real and untouched, but did not show either a Bigfoot or a man in an ape suit. It was Michael Moore. Of course, the bigger mystery is, why was Roger Patterson stalking Michael Moore? Conspiracy theories abound, the most likely of which is that Patterson just became sick of Moore’s wacko nonsense. 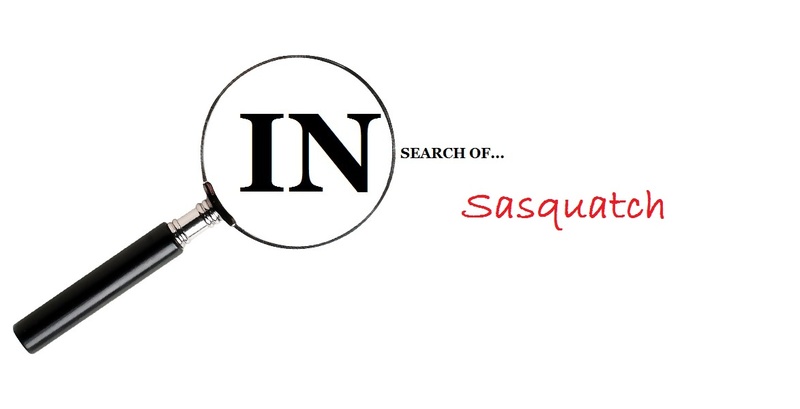 What else do we know about the Sasquatch? The Bigfoot is often misidentified. Commonly mistaken for it are bears, Chewbacca, and professional wrestlers. Perhaps a potentially plausible primitive primate possibility? This was a giant primate that lived in China thousands of years ago. Somehow, it spread throughout the world and has become the basis of the Yeti, Sasquatch, Vilanch, etc legends. How did it do this without being seen? Beats me. Prof. Hubert J. Farnsworth: Bunk! Bunk, I say! Bring me a bag full of Bigfoot’s droppings or shut up! Ranger Park: I have the droppings of someone who saw Bigfoot. That sums up the Sasquatch debate as neatly as anything else I’ve heard. Many many years ago, me and some friends had an idea to make Star Trek movies using action figures. (Before you ask, we never did more than talk about it.) One idea one of them came up with was a new character called Lt. Gorilla, who would be an intelligent gorilla who considered himself better than the rest of the crew because of his hairy chest. We could just have filmed it live with this guy. I know the author but not those novels. But as far as the hairy guy, he should be in EVERYTHING. He should be Romeo in Romeo and Juliet, he should be Captain America, he should even be Miss Marple! Oooh, he’d be perfect as Miss Marple!